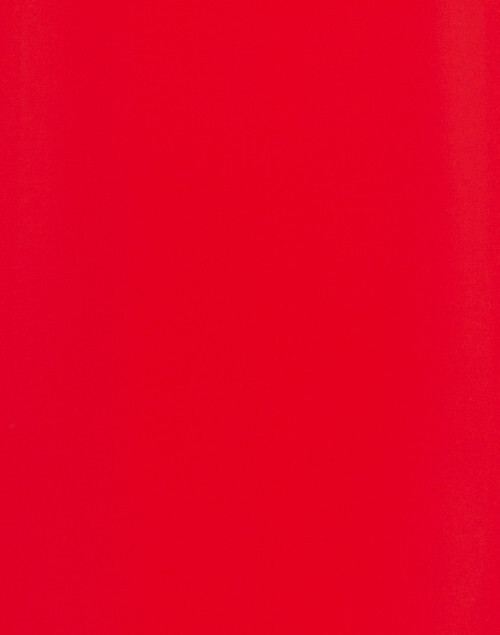 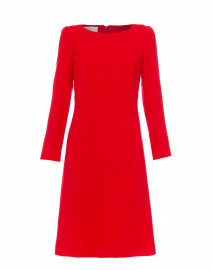 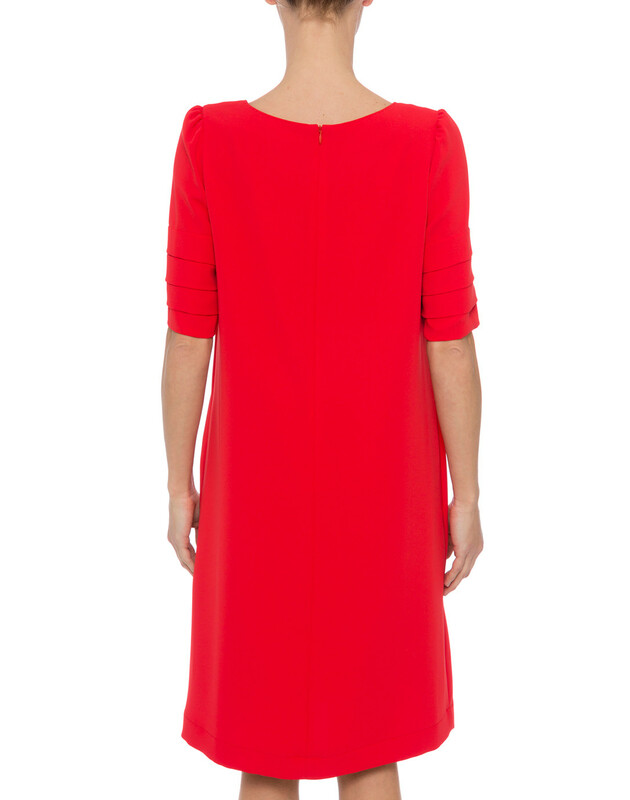 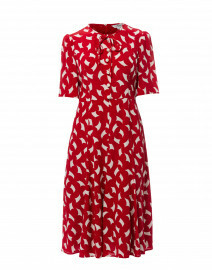 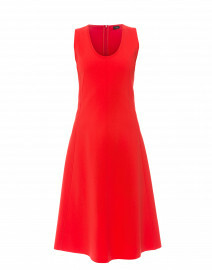 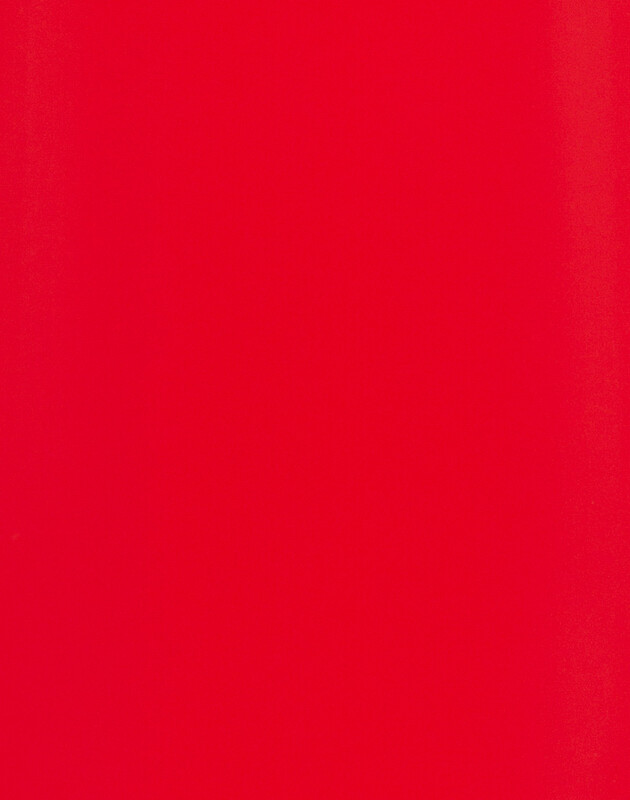 Weill's exquisitely chic and polished sensibility is clear to see in this bright red dress. 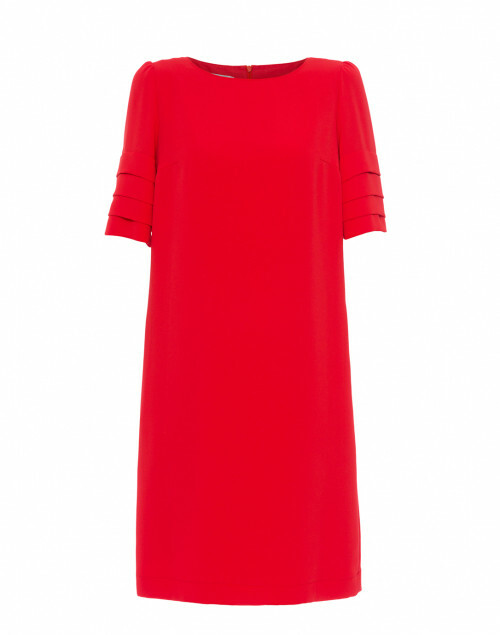 It has a demure shift silhouette and features flattering short, tiered sleeves. 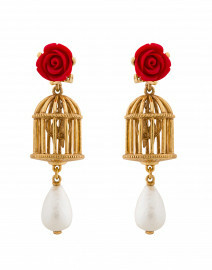 Style your with statement earrings and metallic clutch for feminine evening look. Length 37.5" 38.5" 38.5" 39" 39.5" 40"
Shoulder Width 13.5" 14" 14.5" 15" 15.5" 16"
Bust 36" 37" 38" 39" 41" 43"
Waist 36" 37" 38" 39" 41" 43"
Hip 38" 40" 40" 41" 46"
Sleeve Length 12" 12" 13" 13" 14" 14"